“Biological diversity is about more than plants, animals and their ecosystems – it is about people and our need for food security, medicines, fresh air, water, shelter, and a clean and healthy environment in which to live.”- UN Convention on Biodiversity. From the plankton in our seas to the jaguars skulking through our forests, biodiversity is the varied and distinct totality of all life forms on earth. For any ecosystem to remain healthy and alive, it must maintain biodiversity. This is because different species perform different tasks within an ecosystem, and it is the culmination of all these tasks that keep the ecosystem functioning and alive. Just like how a multinational business wouldn’t be able to run without a combination of CEO’s, managers and interns – an ecosystem can’t survive without a synergetic mix of predators and prey, herbivores and omnivores, flora and fauna. Healthy ecosystems provide us with critical services and natural products necessary for international human survival. For instance rainforests provide us with clean water, oxygen, food and medicine. The Amazon and Cerrado Savannah alone, which our corridor aims to restore, produce 20% of the world’s oxygen, 30% of the world’s clean water and 25% of the ingredients for all modern medicine. These critical services and products are necessary for our global development and contribute towards the UN’s seventeen sustainable development goals (see below). These goals were set by the United Nations general assembly in 2015 and are the seventeen key initiatives that need to be maintained if we are to transform our world and begin to develop sustainably, ensuring our survival as a species. Examples of these goals are: eradicating poverty, abolishing food insecurity, maintaining clean water and sanitation for everybody living worldwide. 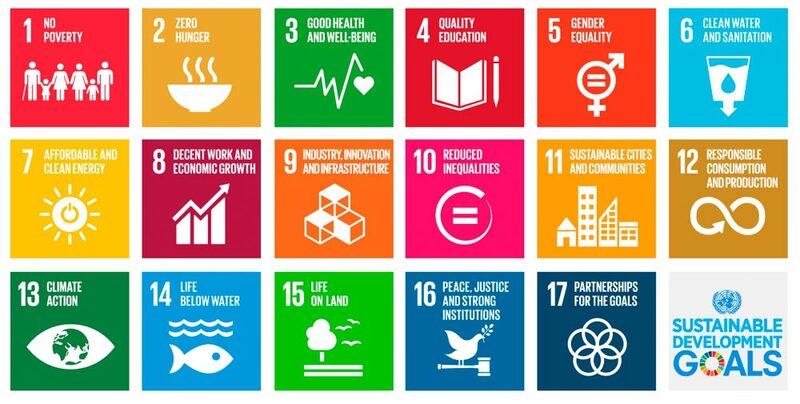 Find out more about the sustainable development goals and how the BJF mission will promote each of them here. Subsequently, biodiversity is a source of significant public benefit because it directly allows us to achieve these goals. We are currently living through a UN declared ‘decade of biodiversity’. This began in 2011 after the United Nations recognized how crucial biodiversity is for the livelihood of the human species and future generations. How does the BJF project promote biodiversity? We have invested a huge portion of our time and resources into ensuring that we have the best technical partners, forest engineers and team in Brazil to realize biodiversity in the corridor. Our goal is not just to reforest but also to ecologically restore the Araguaia. With each hectare of land, we aim to methodically map out the area and plant an extensive mix of seeds, bringing back the rich and varied expanse of nature that once reigned. Do you want to help us achieve our goal? Then get involved and discover the art of making a difference.